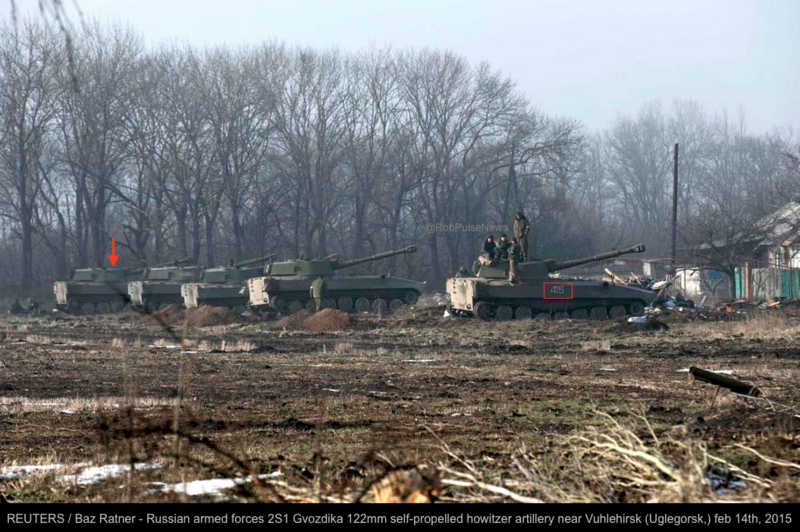 Russian army 2S1 Gvozdika howitzer artillery ID'd in new @reuters photo taken in Vuhlehirsk near Debaltseve feb 14. BRUSSELS — The European Union has added 19 more individuals, including a Russian deputy minister of defense, on its sanctions list for their actions linked to the fighting in eastern Ukraine. The EU published the list, which also included nine entities, on Monday, one week after the EU foreign ministers decided on the issue. There was a week's lapse in the publishing of the list because of the negotiations which led to an agreement between Ukraine and Russia last Thursday. The additions bring the total of individuals hit with a travel ban and asset freeze to 151 while 37 entities are now also hit with restrictive measures. A Russian separatist gestures near the eastern Ukrainian city of Uglegorsk on February 15, 2015. The latest batch includes Russian Deputy Defense Minister Anatoly Antonov, an outspoken critic of Ukraine, two more high-level officials linked to the military, and two state Duma officials who backed the annexation of Ukraine's Crimean Peninsula last year. Among the officials from the Duma, Russia's lower house of parliament, was Iosif Kobzon, who has been supportive of the separatists, and is also well known as a crooner. The entities targeted consist of eight armed separatist groups and one Russian movement backing the separatists in eastern Ukraine. A cease-fire in eastern Ukraine went into effect on Sunday but on Monday the two sides were accusing the other of violations. Russia is surprised by the publication by the EU of the next 'blacklists' in which Russian high-ranking officials are included. Foreign Minister Sergei Lavrov said Russia is unhappy at new EU sanctions. "We are perplexed by timing", says 'illogical' following Minsk deal. He promised 'adequate response'.